Are there benefits to starting my estate planning early? Yes. While seniors in their 70s, 80, or even 90s can benefit from proper estate planning measures, it is often true that the earlier you begin the process, the more flexibility you will have. Many people who plan later in life have a specific goal in mind, such as paying for nursing home care or providing for an ailing spouse. By planning early, you can avoid many potential problems, financial losses, and stresses from last-minute “crisis” planning. Estate planning can be a complicated process that requires many difficult decisions. Seniors who wait too long may suffer from Alzheimer’s disease, dementia, or other illnesses that prevent them from having the legal capacity to execute legal documents that delegate authority to family members who can then protect their estates. 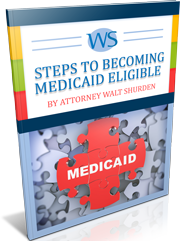 The best thing seniors can do to ensure the best of care in their old age is to protect their eligibility for Medicaid. Medicaid benefits will pay for a senior’s nursing home care, but only if the senior has less than $2,000 in available assets. However, you can keep your assets and your benefits by transferring your property into a trust, essentially gifting your belongings to your family before your death. Seniors who receive care from a service or family member can enter into agreements that provide payment for the caregiver’s services. Of course, this must be done carefully, as paying too much at one time generates taxable income to the caregiver and reduces the overall effectiveness of this strategy. Some seniors are hesitant to create an Irrevocable trust that transfers assets out of their hands, just in case something goes wrong and they need their money or property back. In addition to Irrevocable trust, an estate planning attorney can help you create a revocable trust—a trust that allows you to retain control over a portion of your assets for personal use. At Walt Shurden Elder Law, we believe that Florida seniors have a right to know all of their options before making their estate plans. Call us today at 877-241-1230 or email us to have us explain how you can protect your rights and your wealth.